Metallica Announce Facebook Live Rehearsal Special - GENRE IS DEAD! Metallica today announced “Now That We’re Live,” a live rehearsal special from M&T Bank Stadium in Baltimore that will stream exclusively on Facebook Live on Tuesday May 9th at 9:00 PM EST, the eve of their inaugural show for the North American leg of the WorldWired Tour 2017. The Rock and Roll Hall of Fame inductees and multiple-Grammy® Award winning band will warm up the stadium stage with a full-scale rehearsal performance. The ‘Now That We’re Live’ rehearsal special will feature Metallica performing four songs in their entirety (including their current single, “Now That We’re Dead” https://www.youtube.com/watch?v=QlF4rhAbwyc). The presentation will offer fans an early glimpse of the groundbreaking production elements of the WorldWired tour and will be available for on-demand viewing following the live stream via Metallica.com and the band’s Facebook page. Viewers will also be able to donate on Facebook Live to Metallica’s ‘All Within My Hands Foundation’, which supports a cross-section of national, local and Bay Area charities that the individual band members support, as well as music education programs and local food banks. Metallica’s most recent album Hardwired…To Self Destruct was released on November 18, 2016 on the band’s own Blackened Recordings record label and debuted at No. 1 around the world, selling over 800,000 copies worldwide in its first week. 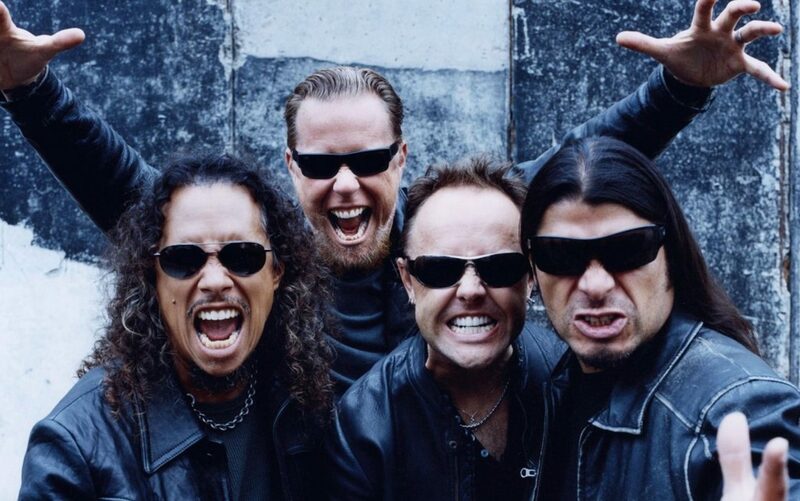 The album was produced by Greg Fidelman with James Hetfield and Lars Ulrich, and is available in various configurations at www.metallica.com. See below for a list of confirmed Worldwired U.S. dates and visit www.Metallica.com for more info.